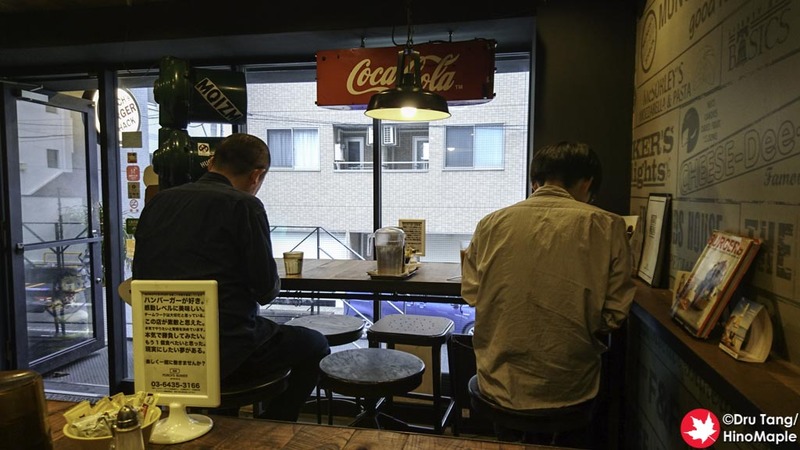 Munch’s Burger Shack is a popular place in Tokyo to get a good burger. 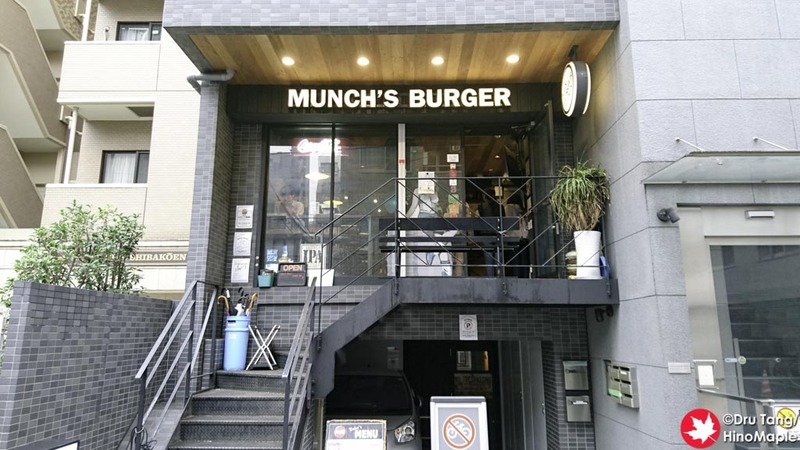 I have been on a big burger bender for the past month and Munch’s is a place that I had heard of recently as they have craft beer. 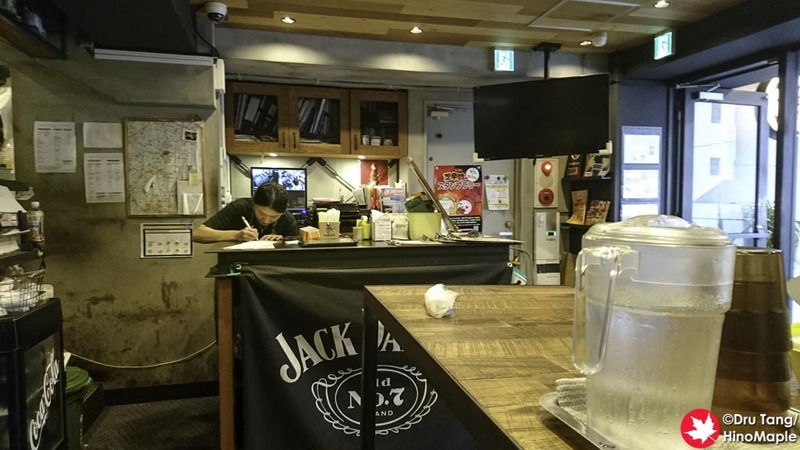 I was interested to know how good this place was and I was pleasantly surprised. 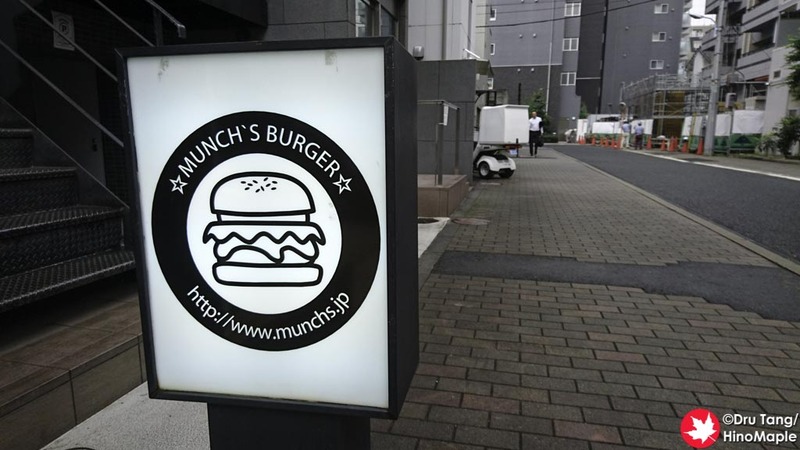 Munch’s is not a convenient place being between Hamamatsucho and Tamachi stations. It is a bit of a walk to get there from the JR lines but if you are coming from Mita station it is a little easier. The neighbourhood is nice and quiet so you would never expect there to be a burger shop where they are. I thought the place would be dead at around 2pm, and while it was dead when I arrived, it got pretty busy really quick. Ordering at Munch’s can take a long time if many people arrive before you. I was a bit unlucky as a group of 5 girls arrived just as I did and they entered before me. You have to order and pay before you are seated which made things a little painful in terms of time. I understand the system and it was not a problem at all; you just have to be patient. Most of the people who came after me didn’t have such problems and they do have ways to get around it, such as an iPod Touch that is used to take orders but you still have to wait to pay at the counter. The interior of the top floor was really simple. They had nice big tables and stools to sit on. I didn’t get a chance to see their other room but from various photos online it does look nice. The theme is very modern in terms of a burger shack but the music made me feel as if I was in “Back to the Future Part II”. For food, I got the Cheddar Cheese Burger with a half pint of craft beer. When I visited they had Lagunitas IPA, which is technically not an independently owned craft beer, but they still make good beers. The burger itself was really good but unfortunately not a style that I particularly like. They hand make all of the patties from a big slab of beef. They cut it all by hand and you can really feel the texture of the bigger chunks. It felt like I was eating a chopped beef steak rather than a fine ground burger. The texture was really amazing and I enjoyed it a lot. The sauce is where they lost me. I am not one to like sweet sauces on a burger. I prefer a tangy barbecue or something very spicy. They use honey mustard, mayo, and relish as a sauce and while it was good I found it almost too sweet for me. While I found the sauce to be a little different to what I usually prefer, I did love this burger. I had to go to the main Shack shop near Mita but if I ever go again I will probably go to Toranomon for their Stand shop. It is more convenient for me and I’d be just as happy there. I will probably go back to Munch’s in the future as it is definitely worth it. 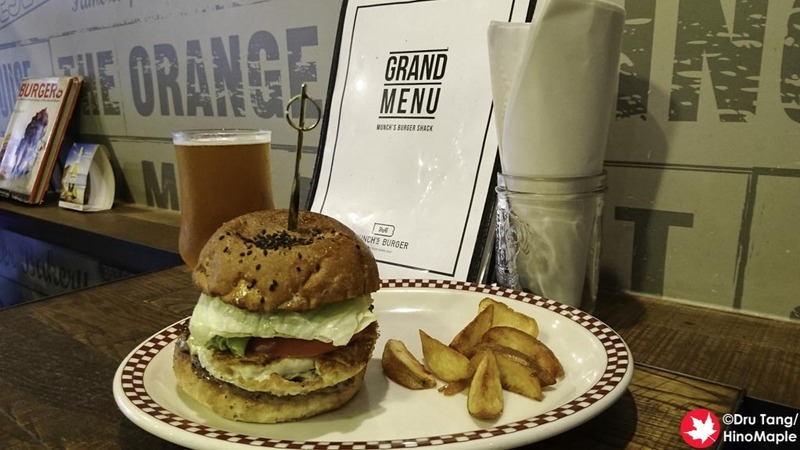 This entry was posted in Tokyo Food and tagged burger, craft beer, IPA, japan, Lagunitas, Mita, Munch's, tokyo by Dru. Bookmark the permalink.